1 Basic Management (L. C. Marlborough & D. C. Knottenbelt). 2 Anatomy and Physiology (P. D. Clegg, C. L. Blake, R. C. Conwell, E. Hainisch, S. A. Newton, E. M. Post, M. J. Senior, S. L. Taylor & A. J. Wise). 3 Genetics (G. A. Munroe). 4 Reproduction (J. F. Pycock). 5 Nutrition (P. A. Harris). 6 Clinical Nutrition (P. A. Harris & J. M. Naylor). 7 Basic First Aid (N. E. Haizelden & H. J. Hangartner). 8 General Nursing (R. J. Baxter). 9 Safety Management in the Practice (A. Jones & E. R. J. Cauvin). 10 Basic Hospital Practice (J. Masters). 11 Medicines and their Management (R. J. Baxter & R. D. Jones). 12 Laboratory Diagnosis (L. L. Hillyer & M. H. Hillyer). 13 Fluid Therapy (J. C. Boswell & M. C. Schramme). 14 Medical Nursing (J. D. Slater). 15 Foal Nursing (S. J. Stoneham). 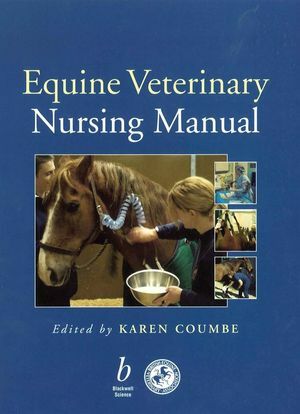 16 Lameness and Orthopaedic Nursing (E. Jones & T. J. Phillips). 17 Diagnostic Imaging (E. R. J. Cauvin). 18 General Surgical Nursing (D. Lloyd & B. M. Millar). 19 Theatre Practice (D. P. McHugh). 20 Anaesthesia (J. C. Murrell & C. B. Johnson).